Home » Adult Ed » The Adult Faith Exploration Ministry Welcomes New Members! The Adult Faith Exploration Ministry Welcomes New Members! Comments Off on The Adult Faith Exploration Ministry Welcomes New Members! Thinking about joining a ministry? Maybe the Adult Faith Exploration Ministry is the one for you! 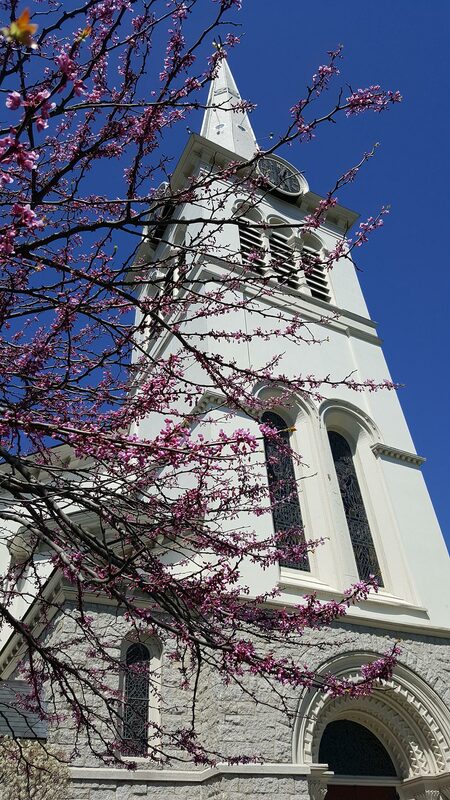 Here’s what we do: we seek to provide meaningful opportunities for our congregation and the public to increase understanding and foster dialogue around topics related to faith, religion, spiritual development, culture, community, and self-awareness. The Ministry uses a variety of approaches to convey content that promotes individual reflection and community discussion. 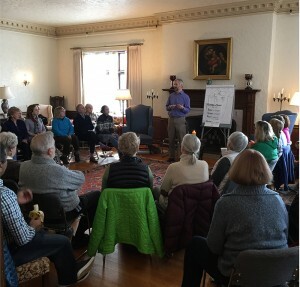 Through small group experiences, workshops, films, books, presentations, and even shared meals, participants explore the meaning and role of faith in the context of current societal issues and personal growth. Recent topics have included death and dying, civility, exploring the Bible, and transgender awareness. Future topics under consideration: Islam, Judaism, racial bias, talking with God (discernment), and the Enneagram personality types. What topics are you interested in? We welcome new ministry members with joy. Our goal is to enhance the educational and spiritual life of adults in our congregation and community. Come explore with us! No particular experience or knowledge is required. Interested? Please talk with any current member of the ministry: Sarah Gallop, Co-Chair, Laurie Roby, Co-Chair, Judy Arnold, Ministry Team Liaison, Anne Hoenicke, Andy McKinley, and Karen Roberts.